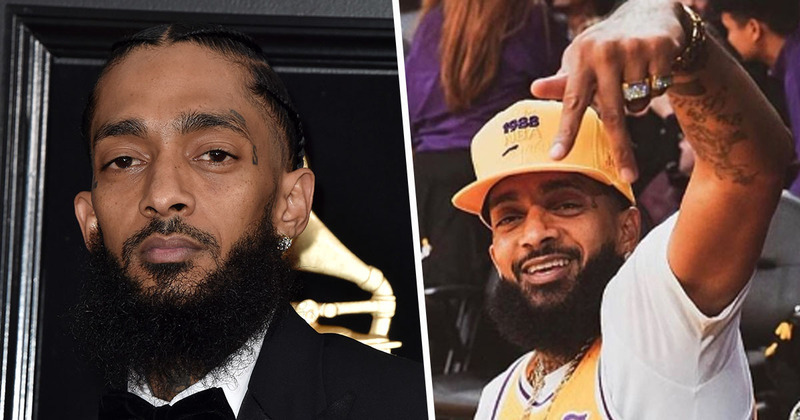 The rapper and respected industry disruptor known as Nipsey Hussle has been shot dead in Los Angeles, in a shooting which wounded two other people. The 33-year-old was shot a number of times and pronounced dead on arrival at an LA hospital. The Grammy award nominee for his album Victory Lap – real name Ermias Davidson Asghedom – had been outside his own shop, Marathon Clothing, in South Los Angeles when the fatal shooting happened. Two other people were wounded in the shooting which killed the South LA native, reports the BBC. Law enforcement sources have told TMZ police are looking for a black male in his twenties and a female suspect who allegedly drove the car the shooter departed the scene in after firing multiple shots. The shooting is said to be gang related. Tributes are already flooding the online realm for Asghedom, who grew up in South Los Angeles and was in the Rollin’ 60s street gang when he was teenager. He later became a community organiser, and was involved with the Destination Crenshaw arts project, as well as opening a combination co-working space and STEM center in Crenshaw. Growing up as a kid, I was looking for somebody — not to give me anything — but somebody that cared. Someone that was creating the potential for change and that had an agenda outside of their own self interests. Asghedom is said to have had ties to the Crips, but has worked with other artists and known members of the Bloods over his ten-year music career. The lyricist has also worked with other huge names in the industry, like Drake, Childish Gambino, 50 Cent, Kendrick Lamar, Rick Ross, Young Thug, Snoop Dogg, Ne-Yo, Kirko Bangz, Dom Kennedy, Tyga, Jadakiss, Chamillionaire and others. Asghedom is survived by his two children and his partner, Lauren London. Our thoughts are with his family at this time.